When I received Dreams of Steam II: Brass and Bolts in the mail, the first impression was a very good one. This is a hefty book of 455 pages for around $19. The cover is striking, with a pirate-like man in an “invention store” with a beautiful customer holding a wheel cog who is dressed as a cross between the rock star Madonna and a prim Victorian-era lady. 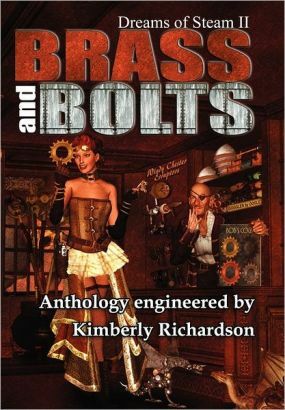 Brass and Bolts is an “Anthology Engineered by Kimberly Richardson” who is well known for her previous book titled Tales From a Goth Librarian. This time Ms. Richardson does not do the writing herself but is the Editor for an anthology containing other writers of Steampunk. For those new to this type of literature, Steampunk is a sub-genre of science fiction, alternate history, and speculative fiction that first came into prominence during the late 1980s and early 1990s. Specifically, Steampunk involves an era or world where steam power is still widely used — usually the 19th century and often Victorian era Britain — and it incorporates elements of either science fiction or fantasy. And Brass and Bolts is true to Steampunk form. It delves into a world reminiscent of Sherlock Holmes, Scotland Yard, and England during the timeperiod when Jack the Ripper roamed the dark streets. Yet at the same time it is uplifting with amazing ideas and inventions, wheels and cogs and machines that pump out steam for power. It borders on the fantastic where your imagination can go places without boundaries. It is a world where detectives have to rely on their brains, deductions, and their wits because it is a world without forensics. Brass and Bolts contains twenty-five short stories for this collection. The nice thing is that these stories are not too short, so it gives you ample opportunity to get involved with the protagonists and the plotlines. Because this is an anthology, I am not going to review every single story. Instead, I am going to highlight the ones that stood out to me as the best in the bunch (in my opinion), in the order of appearance. “For the Fear of Steam” by Missa Dixon is an incredibly clever story where a dog is the protagonist. We learn how Steampunk technology has engineered artificial legs for the Mistress of the household, and everything is seen from the dog’s point of view. Dixon’s ingenuity has made this an enjoyable read. “The Third Eye” by Alexander S. Brown is like a beautifully descriptive and fun game of Clue, except with an invention that can drill into a skull of a corpse to deduce the identity of the killer. No detective should be without one. “In Tesla’s Court” by Robert Cerio takes place in the United States. Its cast of characters includes Samuel Clemmons (Mark Twain), Tesla, Edison, and a time machine! This is an engaging story made even more interesting because it includes real people from America’s history. “The Locked Door” by Allan Gilbreath is a fascinating tale because the plot centers on an “Odditorium” of circus freaks and those who practice such things as phrenology. It’s a delightful story that is a fun read. “Grass Elephant” by M. Keaton is an exotic, authentically written story that takes place in Africa. From Zulus and Hottentots to witchdoctors, this one is very unique. And to finalize my list of favorites, we have “The Devil’s Children” by Angelia Sparrow and Joy Coop. This one is fascinating because it is complete with airships; and the suspense of hand-to-hand combat makes this a fast-paced yarn that is very satisfying. Although the tales listed above are my personal favorites, I can say that over-all, Dreams of Steam II: Brass and Bolts is consistently exciting and adventurous. Editor Kimberly Richardson did an excellent job of choosing the best that Steampunk has to offer. I recommend this book not only to fans of the genre, but to newcomers as well who want to try something different. It’s like that old saying: Try it, you’ll like it. You can buy Dreams of Steam II: Brass and Bolts HERE. After found as an infant crawling among old books in an abandoned library, Kimberly Richardson grew up to be an eccentric woman with a taste for listening to jazz music while drinking tea, reading books in every genre and writing stories that cause people to make the strangest faces. 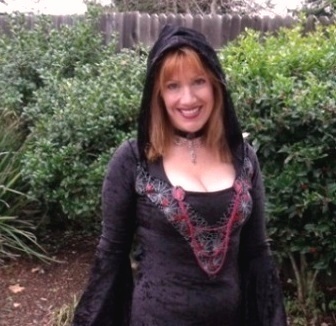 Her first book, Tales From a Goth Librarian, was published through Kerlak Publishing and was named a Finalist in both the USA Book News Awards for Fiction: Short Story for 2009 and the International Book Awards for Fiction: Short Story in 2010. Her new book, Mabon, came out in Spring 2011. 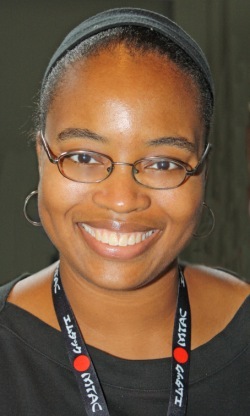 Kimberly is also the Editor of the award winning Steampunk anthologies Dreams of Steam I and II. Her family, albeit normal, loves her as much as she loves them. She currently resides in Memphis, Tennessee.